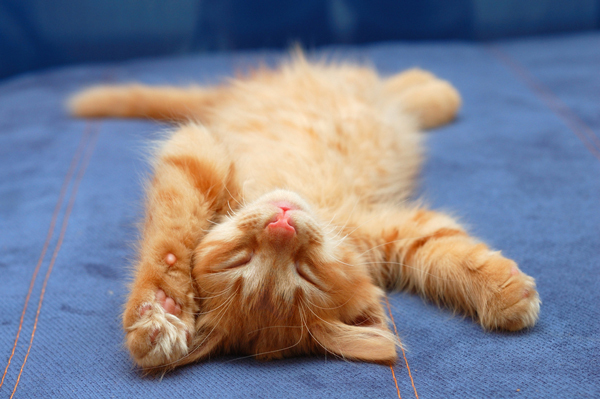 Cats sleep — a lot — but what’s normal and what’s not? 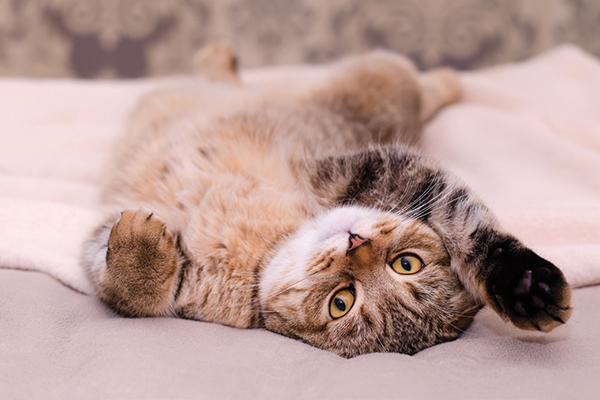 Discover some facts on cat sleeping habits from kittens to adult cats to senior kitties. A quick glance in my bedroom on a sunny day will likely reveal my three male cats sprawled on the bed. If I step into the room, Jack, Phillip and Leroy may each crack open an eye, swivel an ear toward me or change position — but they’re in no hurry to get up unless they hear the distinctive clink of the ceramic food bowls being placed on the kitchen countertop. An orange tabby cat sleeps upside down. Photography by Shutterstock. Some might think this trio of cats — and their female housemate, Katie, who prefers to sleep at the top of her cat tree in the living room — are quite a lazy bunch, but that’s not so. Because of their innate predatory nature, cats need much more sleep than you and I do. So how much sleep does a cat really need every day? And is your cat sleeping too much— or not enough? Be concerned: A kitten who sleeps almost all the time or seems lethargic or uninterested in her surroundings may be sick. Take her to the vet as soon as possible. Don’t worry: If your cat has a particularly active day, he may sleep a bit more. It’s not unusual for your adult cat to sleep more during colder weather. As I grow older, I seem to want to sleep more, and the same typically holds true for senior cats. This holds true in my house. Katie, our senior cat, will sleep for hours on the couch or at the top of her cat tree, while the boys — ranging from 4 to almost 9 years old — seem to be awake a few more hours each day. Don’t worry: Senior cats look for soft, comfortable surfaces on which to sleep. Don’t be alarmed if you find your cat curled up in a new, comfy spot. Be concerned: If your senior cat starts sleeping less than she used to, she may be showing signs of hyperthyroidism. Have her examined by a vet as soon as possible. Thumbnail: Photography by olga maer/shutterstock. 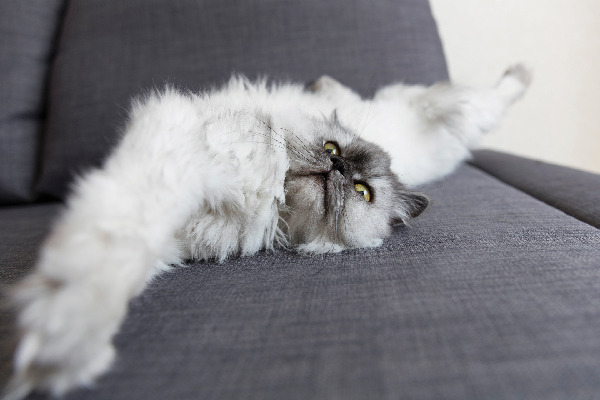 Do Your Cats Shake Up the Household Sleeping Scheme? A lifelong cat owner, Stacy N. Hackett writes frequently about cats, cat breeds and a range of pet-related topics. 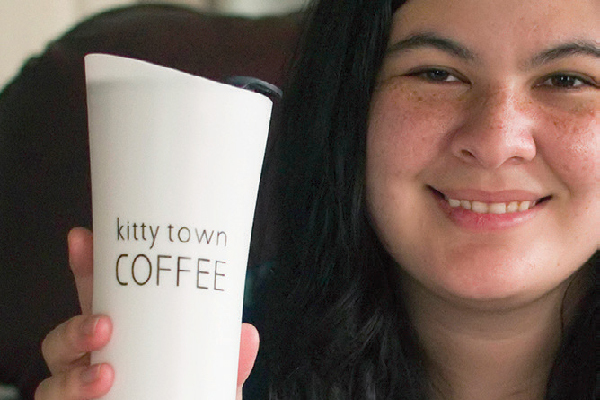 The inspiration for her writing comes from her four cats — Jack, Phillip, Katie and Leroy — and her Cocker Spaniel/Labrador Retriever mix, Maggie.